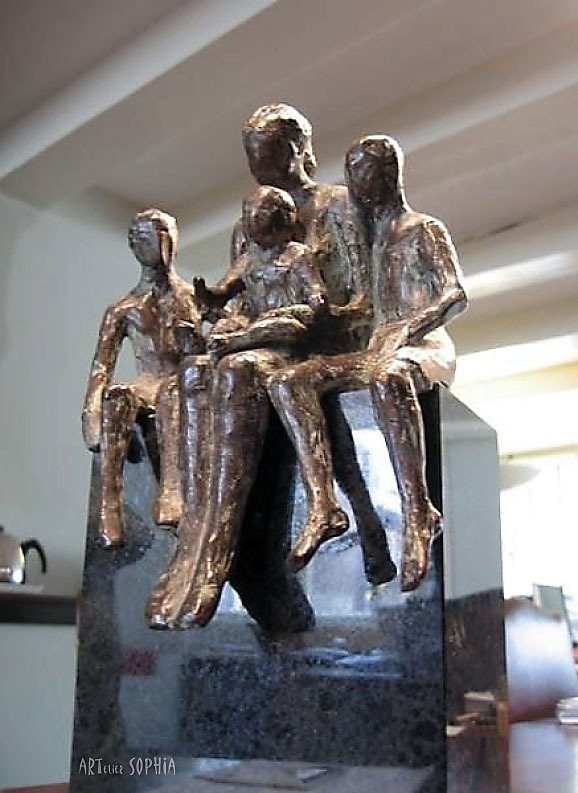 Bronze sculpture of Mother with 3 children. A family portrait in a relaxed mood. The harmony which it shows, reflects the intimate relationship of togetherness between them.